Raised by a father who was an electrical engineer and a mother who was in academe, Pham Thuy Loan developed an early interest in the arts, and in painting and photography in particular. 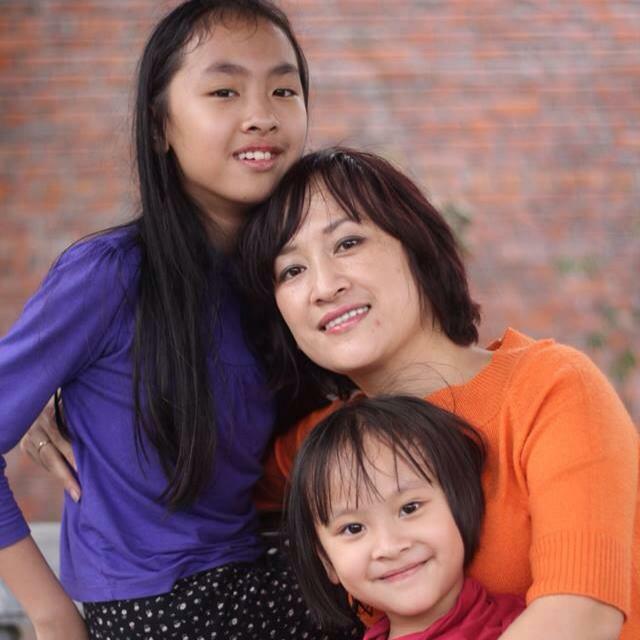 As a young girl growing up in Hanoi, she would draw and paint every opportunity she had, and her parents supported her interests. 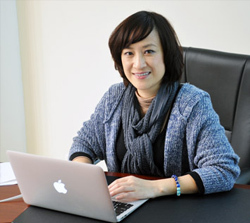 Seeing a close connection between art and science, she decided to pursue a degree in Architecture from the Hanoi University of Civil Engineering and became a lecturer at the university after graduation. Loan later went to Japan to obtain her Masters and Doctorate degrees in Urban Engineering and Design from Tokyo University. 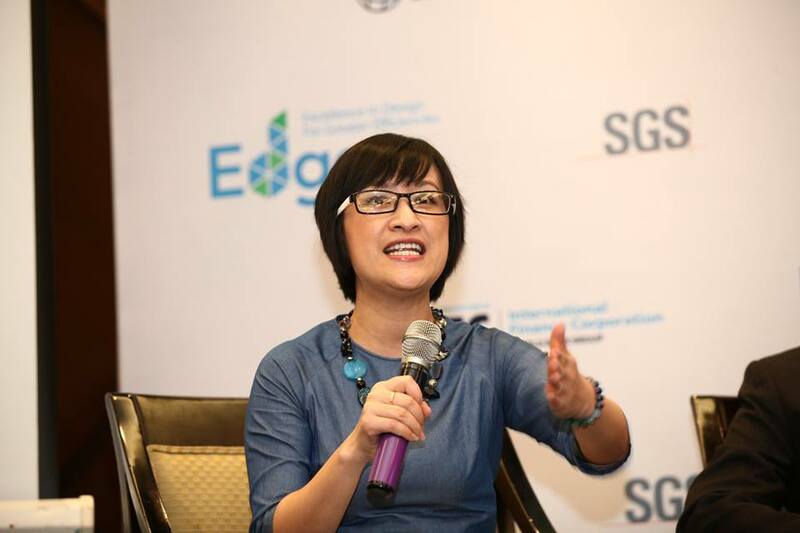 Her research focused on urban design in Hanoi, where she was born and felt a close connection to. “I wanted to focus on how I could help rebuild my country, which had been ravaged by war. There were a lot of ways to do that, but to me, building a high quality living environment for the Vietnamese people was the best way I could contribute,” says Loan. Ms. Loan moderates at an event. She returned to Hanoi University of Civil Engineering after finishing her graduate degree to resume working as a lecturer and architect. Loan began contributing to research projects for Vietnamese government agencies and international organizations, creating an urban design framework for public spaces in Vietnam, assessing the performance of public housing developers in Hanoi, and evaluating living conditions in Hanoi’s Old Quarter. Loan is currently the Vice Director at Vietnam Institute of Architecture. “I have lots of questions in my mind all the time and spend a lot of time trying to find the answers. I’m hard on myself in everything I do. I think that’s the reason the quality of my work is high, as I am very driven,” says Loan. Ms. Loan with her daughters. She sees this work combination as an ideal set up. She views teaching as a means to mold young people and encourage innovation, and architecture and research work as an opportunity to channel her creativity. “I find many chances to develop and explore myself in construction and architecture work. It’s very flexible and creative. The best part is that there is always a new approach you can take each time. If I had a chance to live again, I would still choose to be an architect and a lecturer,” said Loan. “I love my life and I love what I’m doing.” On top of all her professional pursuits, Loan is a mother to two young girls as well as a recreational painter. These days, she mostly does portraits of her daughters using watercolor and pastels. 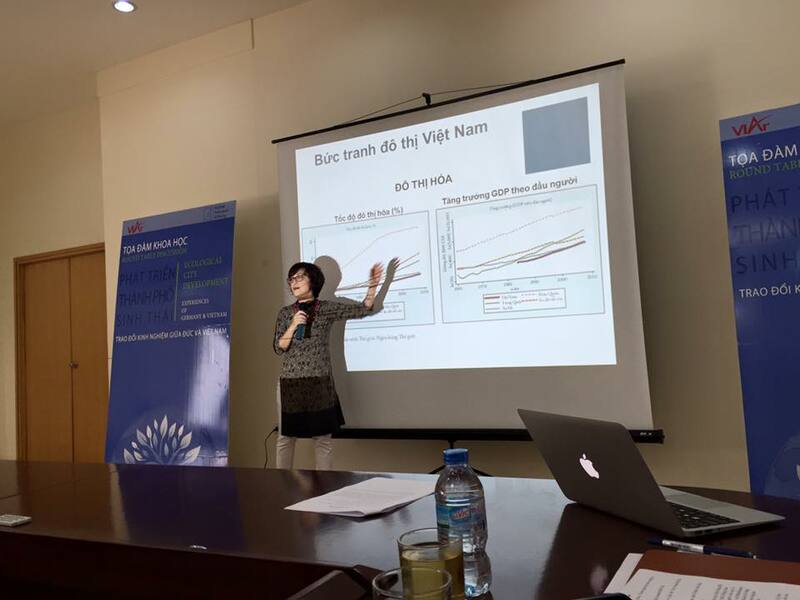 Ms. Loan presents at the Vietnam Institute of Architecture.